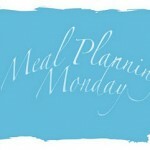 After a month of eating far too much chocolate and cake we are going for a healthier menu this week. Spring has sprung and even though it’s hiding at the moment at this time of the year I start looking for lighter lunches. Pasta can be quite heavy but if you had a light fresh pesto and serve cold it’s perfect for a warm day. In a blender add a large handful of basil leaves, pinenuts, parmesan, 2 garlic cloves and approx. 150ml of good olive oil. Whizz until smooth. This is a really light but filling lunch and can be served hot or cold. Make up the couscous as directed you need approx. 50g per person. Add the juice of half a lemon and glug of olive oil per person and a tablespoon of fresh mint roughly chopped. You can adjust to take you make like more lemon and less mint or vice versa. I like to add steamed sugar snap peas and baby corn to it. This makes a great lunch but you can also serve it as a side dish with grilled chicken or fish. This is my daughter absolute favourite lunch and it is so simple. Cut up a selection of veg to dip such as cucumber, carrots, celery and peppers, I also add in some breadsticks. We tend to have just cream cheese, but you could have yogurt & mint or sour cream & fresh chives. For something a bit different why not make your own pitta or tortilla chips. Cut up the pitta/tortilla, spray or lightly brush with oil and bake in the oven for 10-15 minutes on a low heat. Keep them plain for the children and you can add sea salt, dries helps, chilli flakes or paprika to yours. 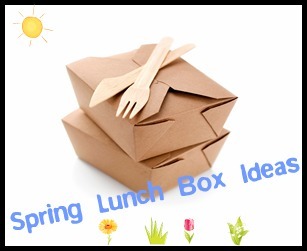 What are your favourite spring lunches? Yesterday we gave you 5 Cool T-Shirts for Boys, today we have shorts for you. Next week here comes the girls! Last week we shared our favourite maternity clothes this week its all about the boys. Come back tomorrow for some cool boys shorts. The weather is looking really unsettled for the next week so I have gone with comfort food. When you are pregnant all you really want is a pair of comfy shoes that fit and you can put on without pulling a muscle. If they look fabulous that is even better. 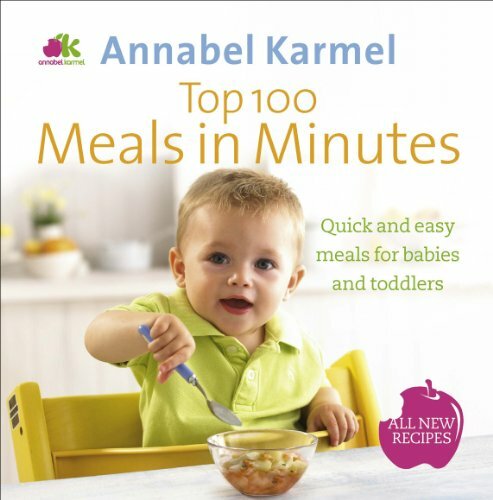 We recently sent our blogger Carol along to The Baby Show and she came back with all sorts of goodies including a signed copy of Annabel Karmel’s Top 100 Meals in Minutes. 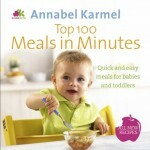 As big Annabel fans we thought we would give away our copy to one lucky Kids One Stop Shop reader. 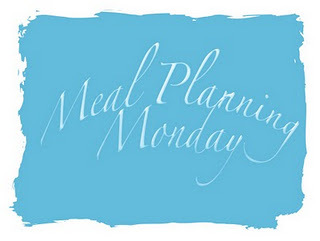 It’s very simple just leave us a comment below and let us know what your child’s favourite meal is. 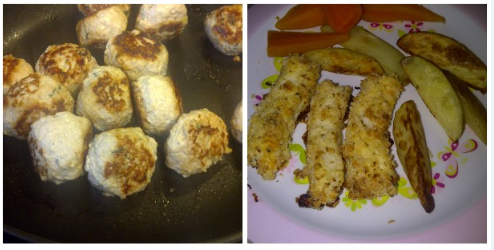 The homemade fish fingers and meatball making went down really well last week with my daughter. They were both simple to so and very tasty, I will share the recipes soon. I promised a while back I would share this recipe with you so here it is. It is a Slimming World recipe which I have tweaked to suit my family. 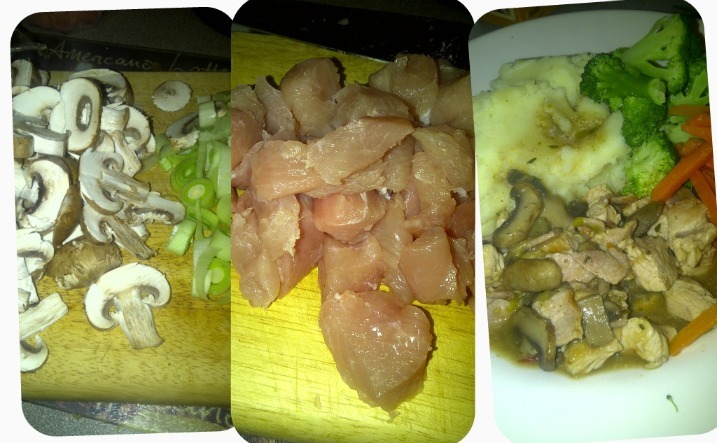 I served with mash potatoes and some veg on the side but it is also good with rice or pasta. Give it a try it’s tasty, healthy and low cost.